Whether a lady could set up her own household depended upon a number of factors. It also depended on whether she wanted to maintain her friends and be received by Polite Society. Whether she had enough money that anyone would care was certainly an issue, as was age, and which members of her family were still living. I think that by the age of five and thirty, a lady could manage to set up her own household. But again, it depended on the factors involved and she would have to be extremely careful. The basic rule was that ladies of marriageable age with sufficient wealth did not live separately from her family. This was for her protection (to keep her from being abducted and forced to marry or held for ransom) and to keep her reputation intact. Also, society did not want to encourage women to be independent. If her parents or grandparents were still alive, there is no way society would accept her living separately from her family. But let’s say you have a lady who wanted to set up her own household) after her parents and grandparents died), and she did care about what people thought. First, she would have to have an older companion. A lady with enough standing, and gravitas to appear as if she was in control of the younger lady, such as a widowed or spinster aunt. The lady would be required to have a complete household of servants from butler, housekeeper, and lady’s maid to maids and footmen. She’d also better not have anyone in her immediate family complaining about her not living with them. Unless, of course, everyone knew how impossible that person was. Other women a lady could live with was a sister. 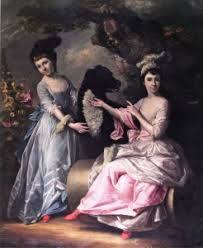 Two famous spinster sisters of the Regency era are Mary and Agnes Berry. Another way a lady could gain some form of independence, if she had sufficient funds, was to continuously visit other family members. She would still have to have an older companion and enough servants to keep her safe. I will be under way from Cape May to NYC today, so moderation may be slow, but the wonderful Miranda Neville is here to keep you company. She’s talking to you about her book in the fabulous anthology, Dancing in the Duke’s Arms, that she along with several other my favorite authors have just released. I read it right away, and it is a must read!! She is also giving away one copy of any of her other books to one of you who leaves a comment saying you want it!! Every summer the cream of society gathers at the Dukeries, named for the ducal estates concentrated in one small corner of Nottinghamshire. While the entertainments include parties, balls, and a famous boat race, the ducal hosts and their guests find adventure, passion, and happy ever afters. She was too wild, he was too proud… When the Duke and Duchess of Linton meet after years of estrangement, they may discover they were made for each other after all. After months of marriage, the Duke of Linton agreed to live apart from his wife. Thrown together due to a scheduling error, Linton finds Althea still has the power to make his heart race. Linton seems different from the critical, indifferent man Althea married. But though she burns for him as a lover, can she trust him to be the husband she needs? 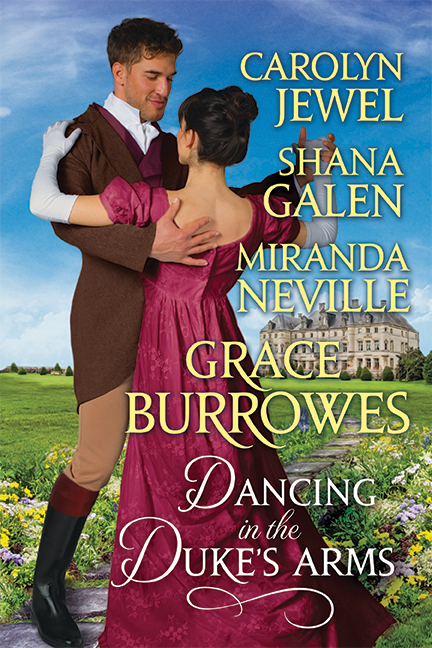 Miranda Neville grew up in England, loving the books of Georgette Heyer and other Regency romances. Her historical romances include the Burgundy Club series, about Regency book collectors, and The Wild Quartet. She lives in Vermont with her daughter, her cat, and a garden full of weeds. Let’s start with the winner of Grace Burrowes’s book!! Congratulations to Sherry Teed! 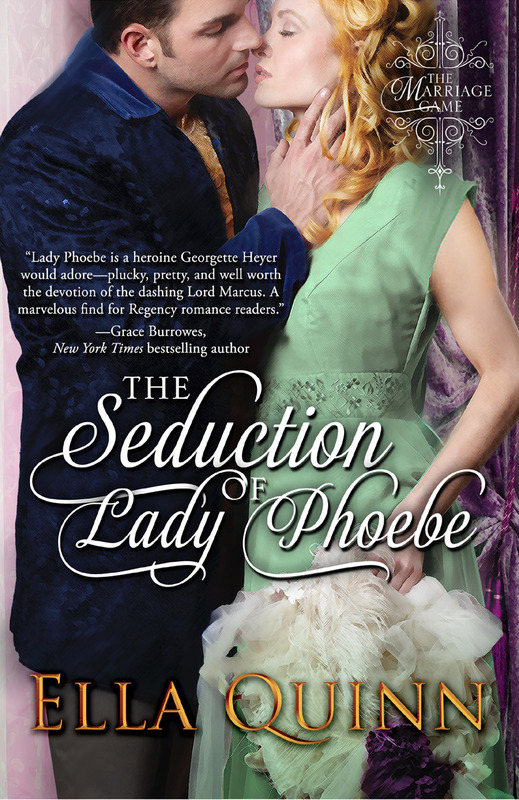 I had a print copy of The Seduction of Lady Phoebe show up in my mail this week. The only thing to do is sign it and send it to one of you. Tell me you’d like the book and you’ll be entered in the drawing. My week has been taken up with editing, packing, and being rejected for the boat we wanted. We have our eyes on a couple of others. My editor emailed me the blurb for A Kiss for Lady Mary which will release in May 2015! 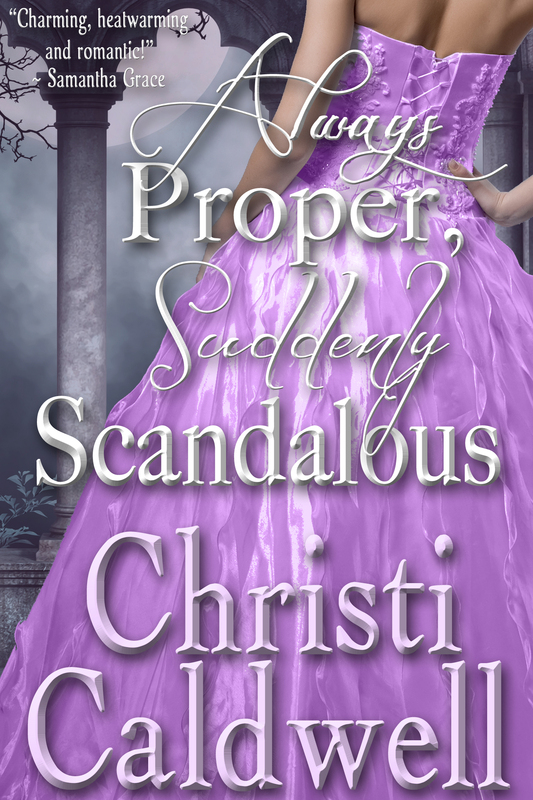 Handsome, charming, and heir to a powerful Viscount, Christopher “Kit” Featherton is everything a woman could want—except interested in marriage. So when he hears that someone on his estate near the Scottish border is claiming to be his wife, Kit sets off to investigate. 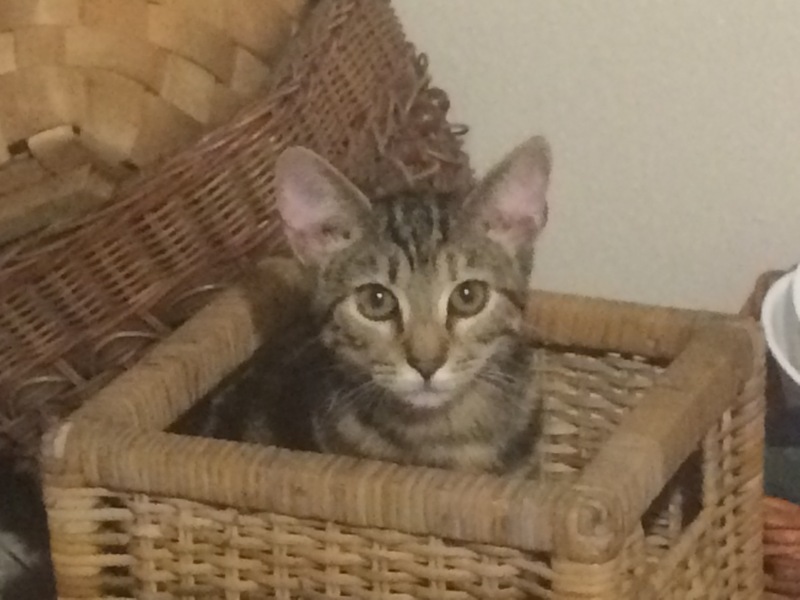 For fun, we’ve been watching the kitten. 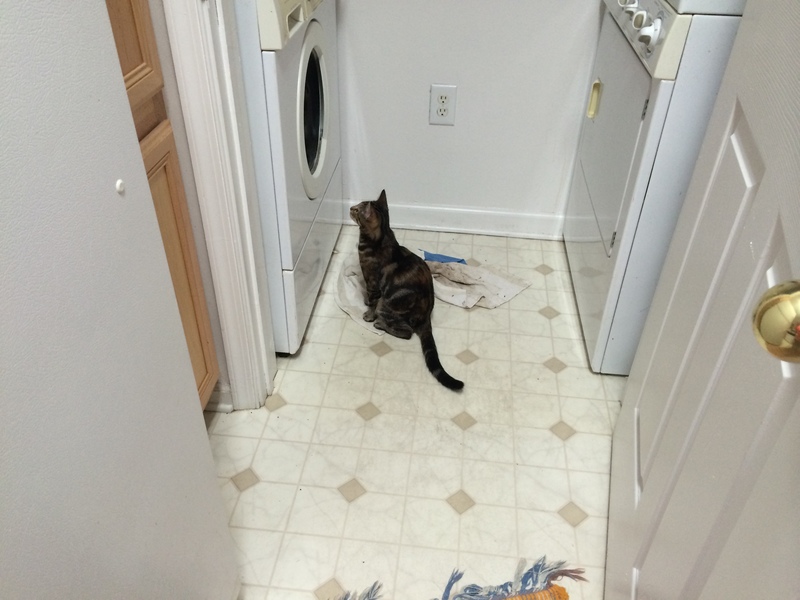 She discovered the washing machine. Raphaella decided to go for a stroll and was taken in by a nice woman who thought she was lost, put her on the balcony, and left for a couple of hours. Raphaella was not happy when I called her and she couldn’t get to me. She also completely disagreed with the woman’s version of events. Her story was that she’d lain down for a short rest and was catnapped. She wanted to know why it took me so long to pay the ransom. What have you been doing this week? Happy Sunday to you!! Let’s start with winners! This is the first time all the books won are signed print copies!! Eli Yanti who won a copy of Enticing Miss Eugénie Villaret. 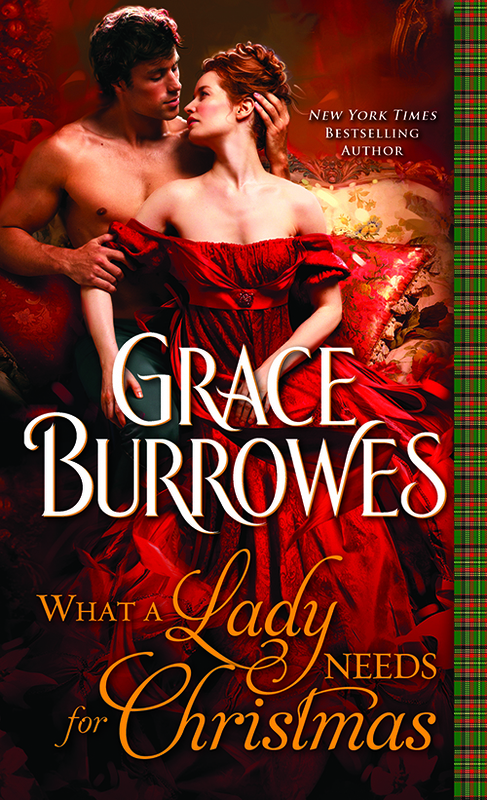 Merri Williams who won a copy of Grace Burrowes’s Laird. Ki Pha who won a copy of Anne Cleeland’s Murder in Retribution. This week has been crazy. I’m still neck deep in moving plans and, for the first time, under a real deadline for a book I haven’t finished. 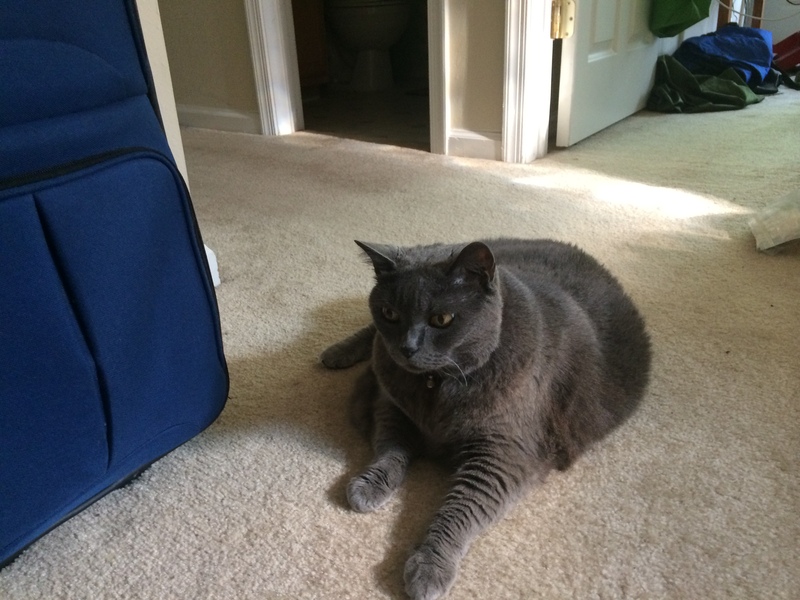 Maddie, my husband’s new kitty, has decided pouncing on Raphaella, my older cat, is a fun thing to do. Raphaella begs to differ. 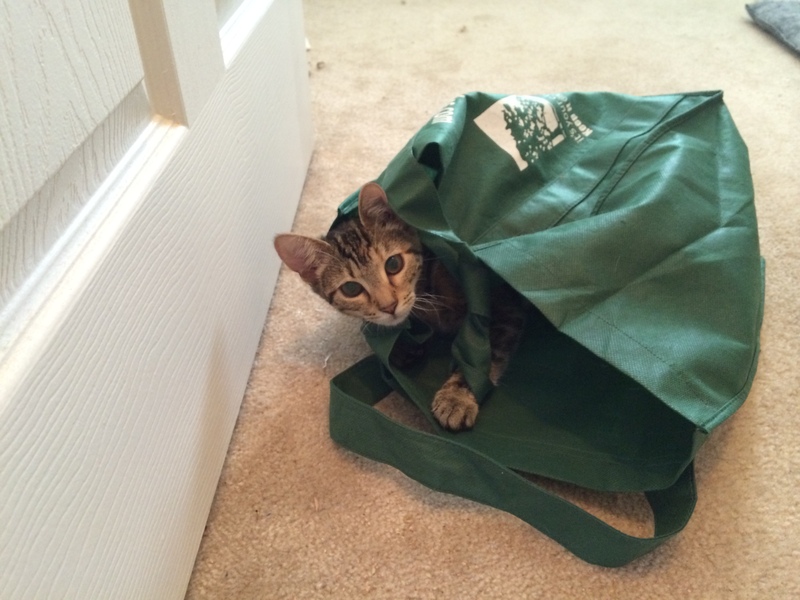 Maddie also likes shopping bags. As you can see, we only use non-plastic. She is having to learn office etiquette, such as no paws on the computer, or the iPhone. 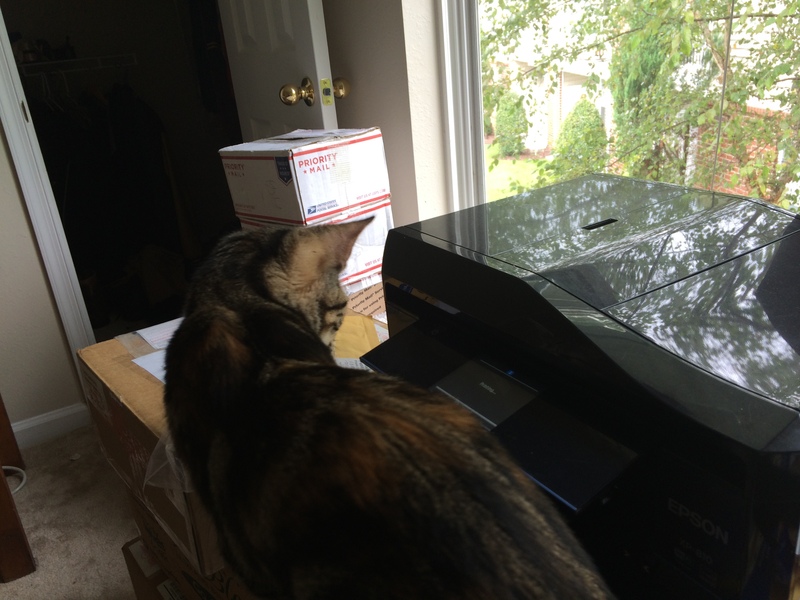 One of her major fascinations is the printer. We have a new one that opens and closes itself, better for a boat environment. 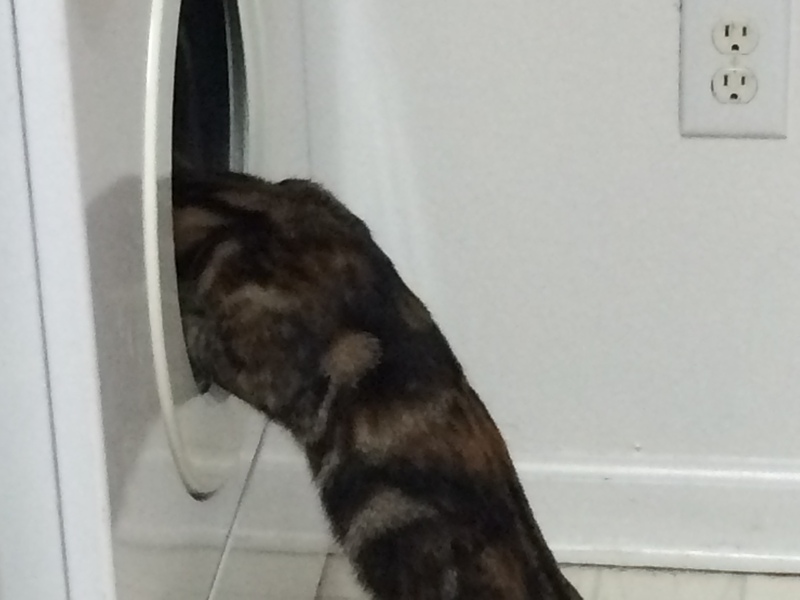 Every time it turns on, she rushes over to see what’s going to happen next. Next weekend we’ll be in southern Illinois at my mother-in-law’s house. Our son and granddaughter are meeting us there. It will be the first time we’ve all been together since he got back from Afghanistan. What are your plans for Labor Day? I’m so happy Grace Burrowes is back with us again. She is not only a fabulous author, but a wonderful friend and mentor as well. She has graciously offered to give away a copy of her latest release to one of you who take the time to tell her you want it. Now, without further to do, here is the cover!! Tell me you wouldn’t buy the book on the cover alone! The blurb because you like them. After years at war, Michael Brodie, Baron Strathdee, comes home to his Scottish estate to find his clan expects him to set aside Brenna, the arranged bride he left behind nearly a decade ago. To make matters worse, Michael’s Uncle Angus, whom Michael relied on to manage estate matters, is also impatient with Brenna’s independence and contrariness, though the clansmen and tenants loathe Angus, too. Michael will not abandon a wife who has loyally—if angrily—waited for his return, but he soon realizes the resentments stirring among his family have deep, shameful roots, and the war he left behind was paltry compared to the battle he must fight to win his wife’s heart, and keep her in her rightful place at his side. After all, why else to you buy a book, other than for the cover. “Shall you undress me, Wife?” Michael asked. Brenna set her footwear tidily beside the bed and scooted back against the pillows. Michael considered her suggestion as he arranged his boots beside hers. Brenna wasn’t being entirely shy, though she was being entirely Brenna. Making him work for his pleasures, which he was more than happy to do. “Watch, then, and plan our afternoon while you do,” he said, unbuttoning his waistcoat. The better to entertain his wife—and the better to stop himself from falling upon her like a beast—he moved away from the bed, making a proscenium of the hearth rug. The waistcoat he tossed in the direction of the privacy screen. Brenna wasn’t teasing, though she was watching, so Michael hung the blasted waistcoat on the back of the rocker and got busy with his neck cloth. The knot had become Gordian at some point in the day’s rambles, but he managed to wrench it open without strangling himself. When he would have whipped the damned thing out the window, Brenna arched one fine, eloquent eyebrow. That eyebrow promised that husbands who were cavalier with their clothing would suffer retribution at the hands of their wives. Michael folded his neckcloth and laid it tidily over the back of the rocker as well. “Am I to be the only one sporting about unclad?” Michael asked as he took a seat on the hearth and started on his cuffs. Because his head was bent toward his wrist, Michael permitted himself a smile. “I am available to assist my wife,” he said, which was, at last, the blessed, blasted truth. He pulled his shirt over his head, draped it neatly over the waistcoat, then rose, clad only in his kilt. Brenna remained on the bed, crossed-legged and barefoot, but otherwise fully clothed. She gave nothing of her mood away, not in her expression, not in her posture, not in her silence. “Brenna, have you changed your mind?” Asking the question nigh killed Michael, but never, never, even by persuasion or innuendo would he prevail on his wife for favors she was reluctant to grant. She regarded his chest, her brows knitting at a particularly bewildered angle, and that’s when insight struck: Brenna wanted to be in charge of this situation, but had no idea how to go on. She needed to be in charge, in fact, but had never traveled the path they would follow. Whoever had betrayed her youthful trust, whoever had trespassed against her person, had left scars where a woman’s natural sense of her own urges and pleasures should lie. Michael would deal with the rage such a conclusion provoked—later. For now, he had a wife to please. Wearing his kilt and what he hoped was a reassuring smile, he climbed onto the bed and took her hand. “I am your willing slave in all that might transpire in this bed, but a slave needs instructions, hints, the occasional command. A husband needs them even more.” A husband needed them desperately, because so much that was wondrous, sweet, and nourishing to the soul might be lost if Michael misread his wife in the moments that followed. Those delicate, lovely brows rose on the word husband. She closed her eyes, as if willing herself to put aside the ire gathering in her words. “I am your husband,” Michael said, kissing her knuckles. “I would like to become your lover, and I would adore having you for mine.” He would like to be so much more to her, too—her friend, champion, partner, confidant, most loyal opposition, lady’s maid, companion, and favorite pest, for starters. She spoke with regret and rubbed the wool the way a child grasps a favorite blanket for reassurance. Perhaps Michael should have waited for the dark of night, not to spare Brenna’s sensibilities, but to spare himself the sight of her bewilderment. He spun a half-truth as delicate as the dust motes wafting about on the afternoon sunbeams. And Michael would wonder, too, at all the years they’d missed. For as surely as desire hummed softly through his veins, so to, did regret. He’d made decisions any soldier would be proud of, and served in a difficult position loyally and well. Those same decisions were something any husband—any lover—would regret for all his days and nights. 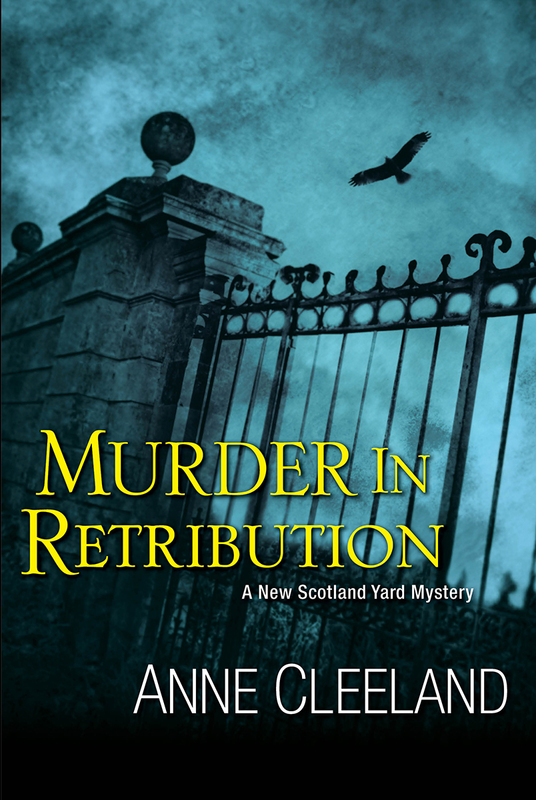 Her posture was wary, her eyes downcast, and yet she still stroked her fingers over the hem of Michael’s kilt. Michael kissed her palm, and without giving up her hand, stretched out on his back. “Let the kissing begin,” he said. Let the loving begin, for Brenna did love him. She had to have some form of tender regard for him, or she would not take these steps with him. “A little guidance to your husband shouldn’t be too much to ask.” Brenna had been guiding the entire castle for years, navigating past financial difficulties, clan jealousies, Angus’s backward notions, and Highland winters. Appealing to her sense of responsibility earned Michael a considering look that turned into a shy grin. You can find the link to all the buy links here. 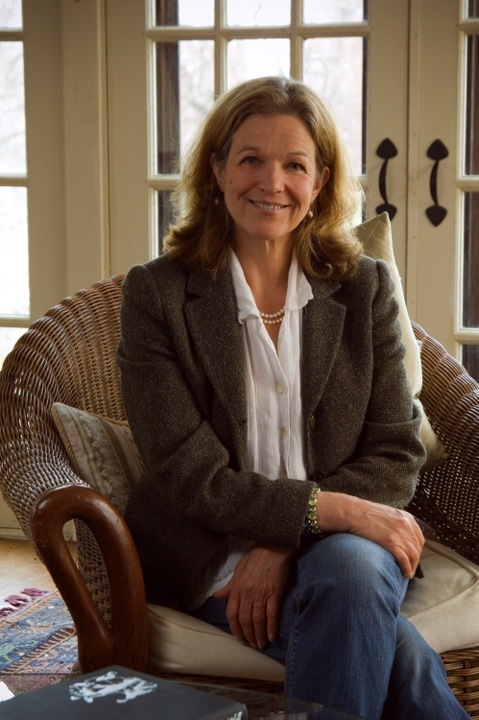 Grace Burrowes grew up in central Pennsylvania and is the sixth out of seven children. She discovered romance novels when in junior high (back when there was such a thing), and has been reading them voraciously ever since. Grace has a bachelor’s degree in Political Science, a Bachelor of Music in Music History, (both from The Pennsylvania State University); a Master’s Degree in Conflict Transformation from Eastern Mennonite University; and a Juris Doctor from The National Law Center at The George Washington University. Grace writes Georgian, Regency, Scottish Victorian and contemporary romances in both novella and novel lengths. She’s a member of Romance Writers of America and Novelist, Inc. and enjoys giving workshops and speaking at writer’s conferences. If you’d like Grace to speak or present at your conference, contact her here. Giving back to the industry is a large part of the fun of being published! Good afternoon! Yes, I’m late. I have a friend visiting me and we’re frantically working on the house. I’m trying to get ready for the RWA conference in San Antonio as well. I toyed with the idea of not posting today, but I have book winners!! Congratulations to rappleyea who won Grace Burrowes’s book and Eileen Dandashi who won Christi Caldwell’s book! Congratulations also goes to Diana Huffer who won a copy of my Keeper Kards. I’ll be back next Sunday with all the new about RWA. Oh, and don’t forget to tell me if you want a copy of my Keeper Kards. I’ll have another drawing for next Sunday! 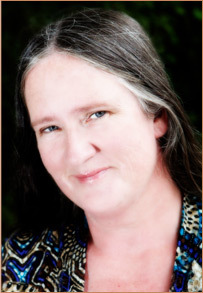 It is always my great pleasure to welcome, NYT bestselling author, Grace Burrowes to the blog!! Grace is here to tell us about her latest book, The Captive, and give away one copy. All you have to do is say your want it!! I finished it last night and was not at all surprised that it is on the USA Today Bestseller list!! Here is the fabulous cover!! Captured and tortured by the French, Christian Severn, Duke of Mercia, survives by vowing to take revenge on his tormentors. Before the duke can pursue his version of justice, Gillian, Countess of Greendale, reminds him that his small daughter has suffered much in his absence, and needs her papa desperately. Gilly endured her difficult marriage by keeping peace at any cost. Christian’s devotion to his daughter and his kindness toward Gilly give her hope that she could enjoy a future with him, for surely he of all men shares her loathing for violence in any form. Little does Gilly know, the battle for Christian’s heart is only beginning. And if you still are on the fence about this book, an exclusive blurb. Gillian, Lady Greendale, and Christian, Duke of Mercia, are discussing—among other fraught topics—safety in the wake of an attempt to poison him. “You’re safe, Gilly. The footmen or I attend you wherever you go, and the entire staff has been warned to watch for strangers.” Christian sounded very sure of Gilly’s safety, but what of his own? “I don’t like that they know.” She hated that they knew, hated that they might think her guilty of every weak, wanton behavior Greendale had accused her of. The wretch, saying such things out loud. Behind the arrogance of the question, Gilly heard a hint, a well-hidden, ducally disregarded hint of vulnerability. She turned in his arms and pressed her face against his chest. She had licked, kissed, and nuzzled her way over most of this chest, and had found it delicious. “Yes?” He slipped his hands down and cupped her bottom, which meant she took notice of his male flesh growing hard between them. Regency Trivia – 1830’s Stays. Regency Trivia – 1830’s Corded Petticoat. Regency Trivia – The 1830’s Skirt.